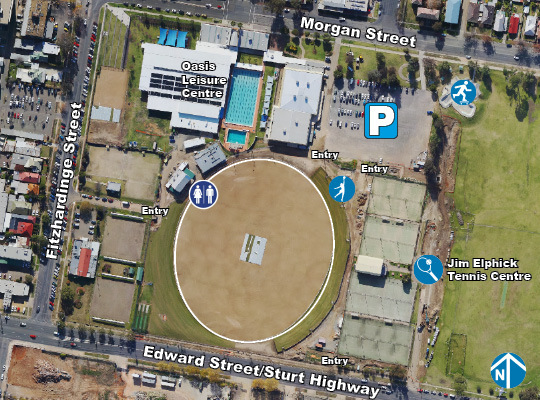 Robertson Oval is the premier oval shaped sporting facility in Wagga Wagga for AFL and Cricket and for sporting and cultural events. Auskick players on field during half time at the GWS vs Brisbane Lions NAB Cup game. Helicopter shot of the newly renovated Roberston Oval. Spectators watch GWS play Brisbane Lions in the NAB Cup game.